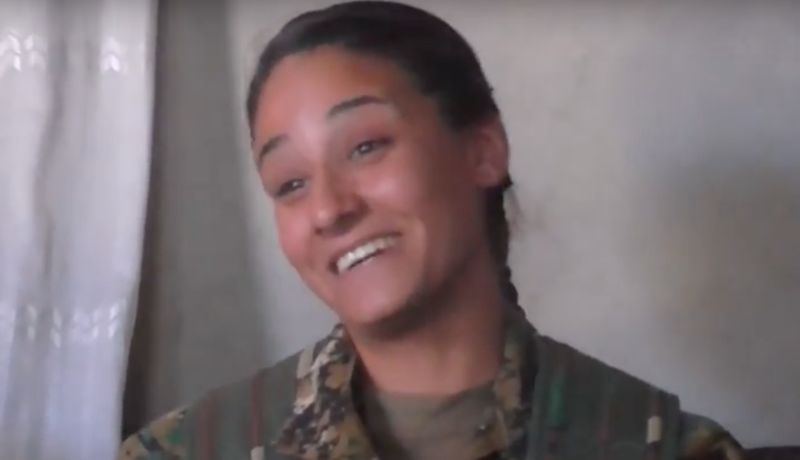 Nisha Gewriye, commander of the HSNB (Bethnahrain Women’s Protection Forces) welcomes us holding a rifle inside the Syriac Military Council in Raqqa, Syria. 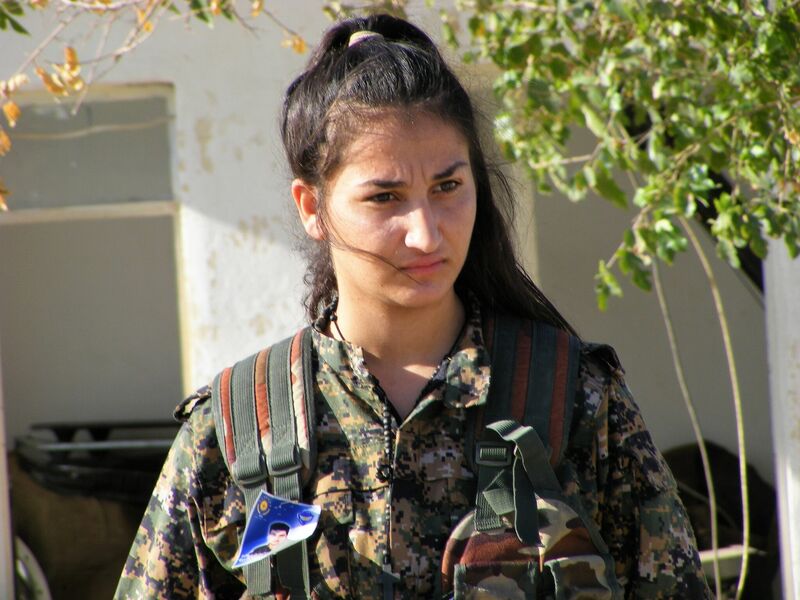 Along with other women she is part of the all-female Assyrian-Syriac military organization that joined in November 2016 the Raqqa offensive alongside the Christian MFS and Kurdish and Arab forces of the Syrian Democratic Forces. 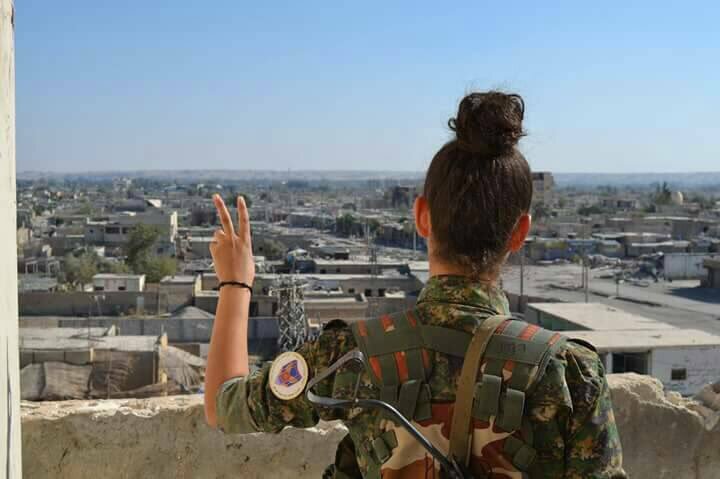 These are the bravely Christian women fighters who contributed to the liberation of the capital of the so-called Islamic State. 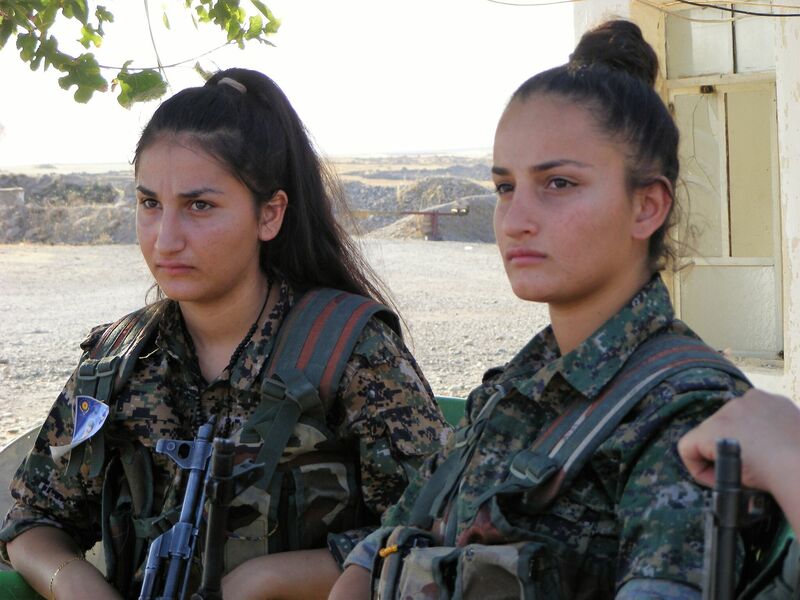 One can see their pride just in their eyes. 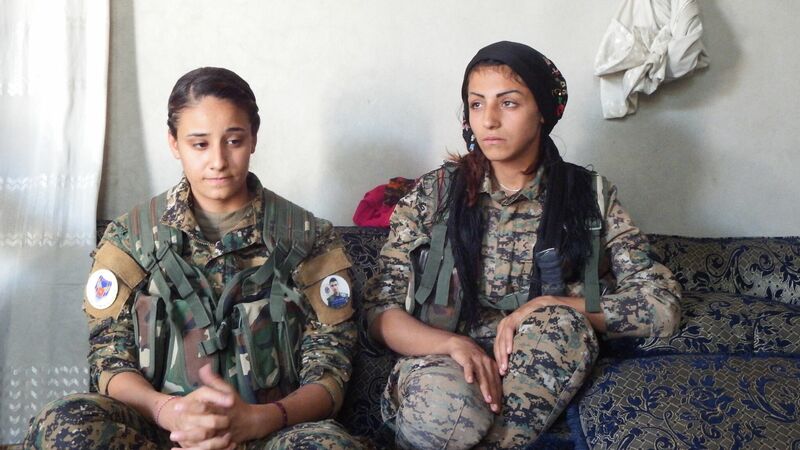 They are smiling mournfully probably remembering all their ‘martyrs’ who died during the war. 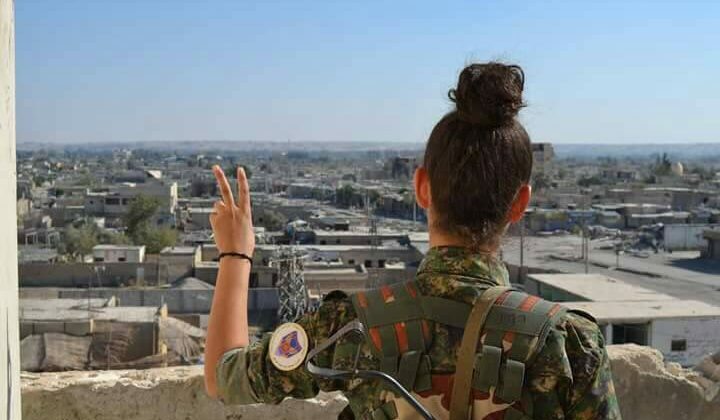 When asked why they decided to fight, they simply reply that they didn’t have any other choice. It was either fighting or being defeated and dead. 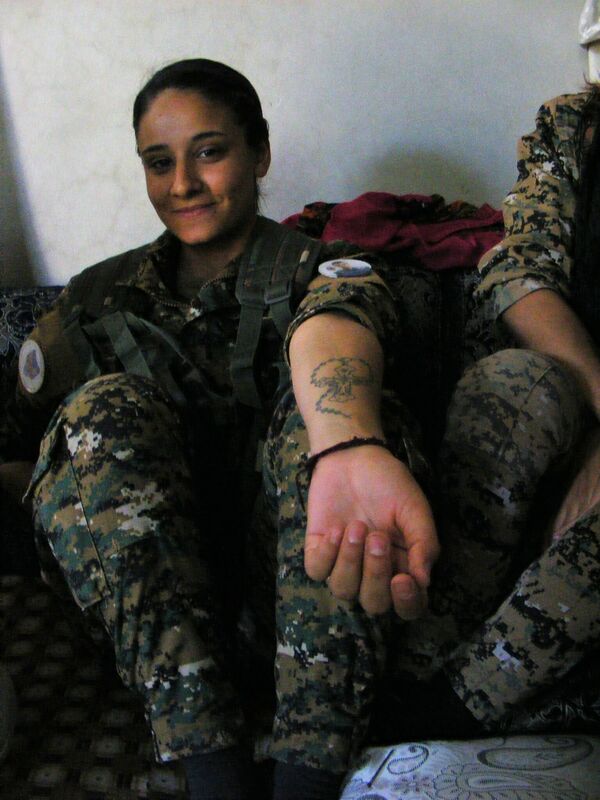 “It’s normal, we are not special,” they told us. 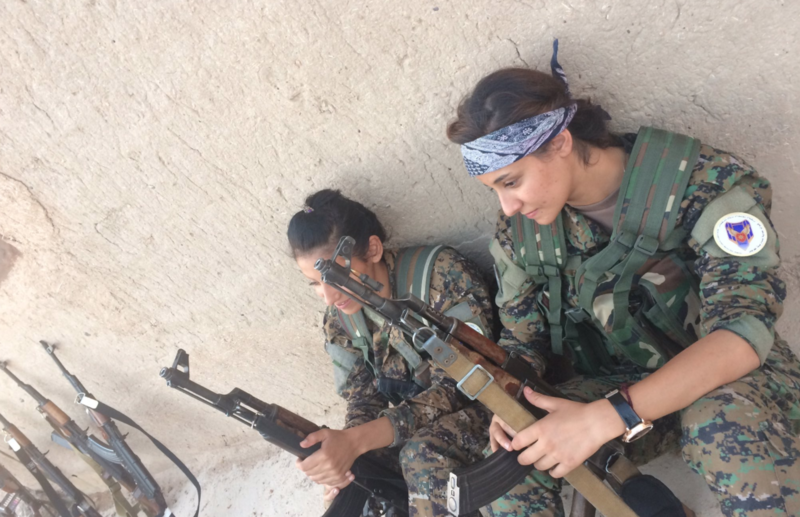 They are fighting also to defend women’s rights in an area of the world where too often the women are considered inferior than men. 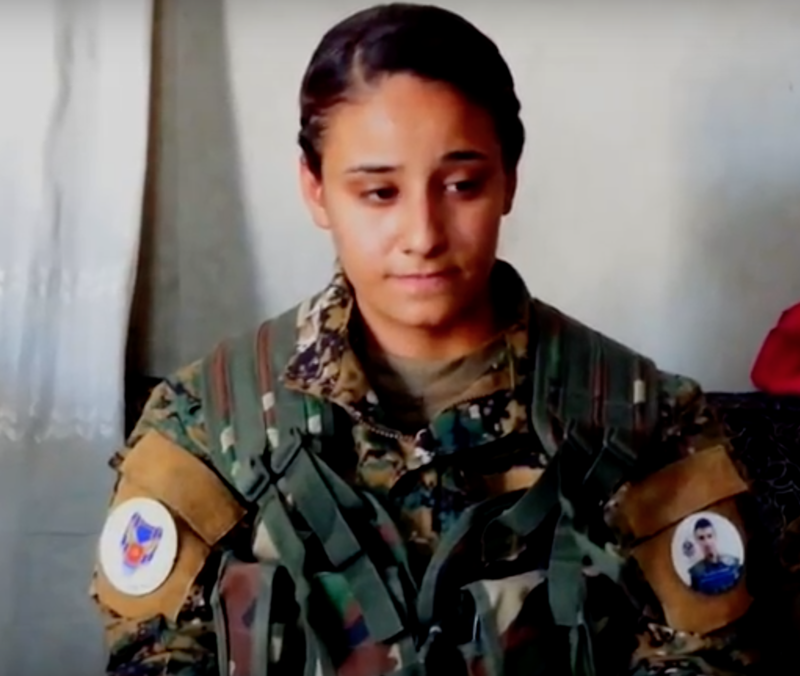 “ISIS fighters were scared about us because they believe that if they are killed by a woman during the battle they will be deprived of virgins in paradise as promised by the Koran,” female commander Gewriye says. 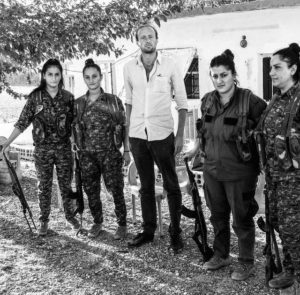 “It is an honour for us, as women to play an important part in the battlefield on the frontline against ISIS,” she continues. 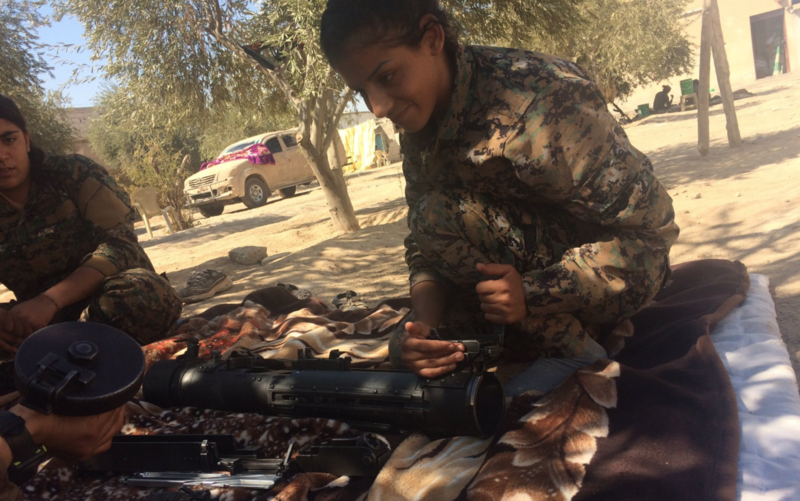 “We want to empower women’s right also in the military and political system, and we are trying to do that thanks to our position and thanks to our brave female warriors,” she adds. 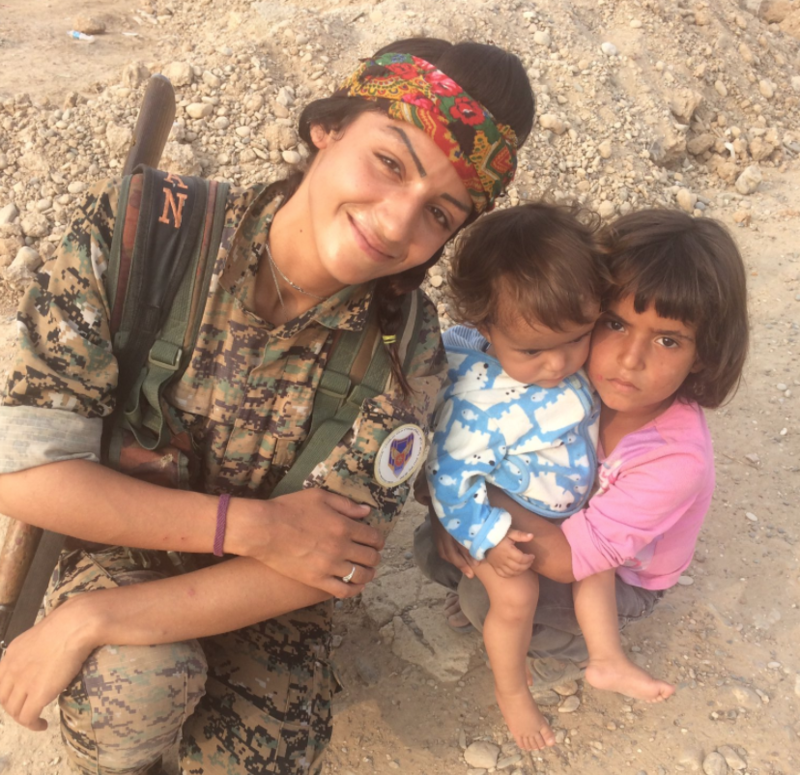 These Christian fighting women, taking up arms against DAESH and fighting along side men, have done much more for advancing women’s rights so far than decades of Western feminism. 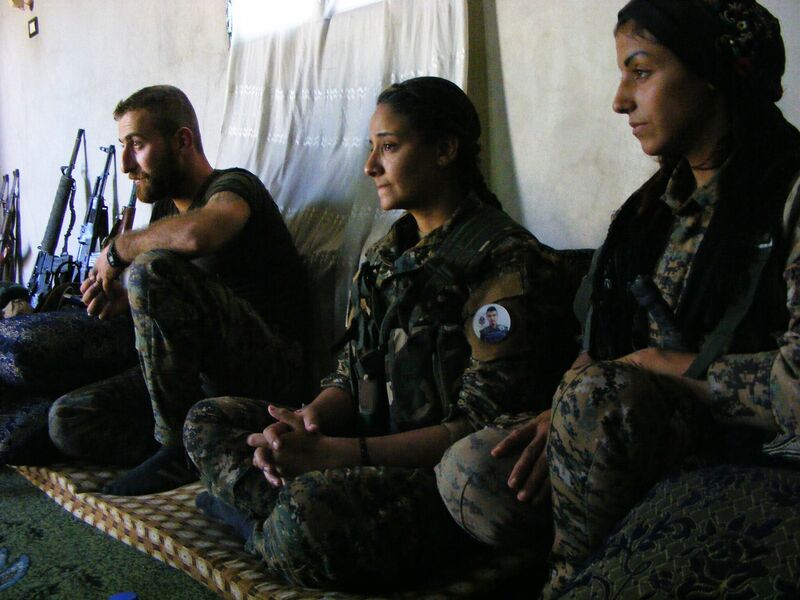 In the Northern Federation of Syria, women are enjoying a right of gender equality. 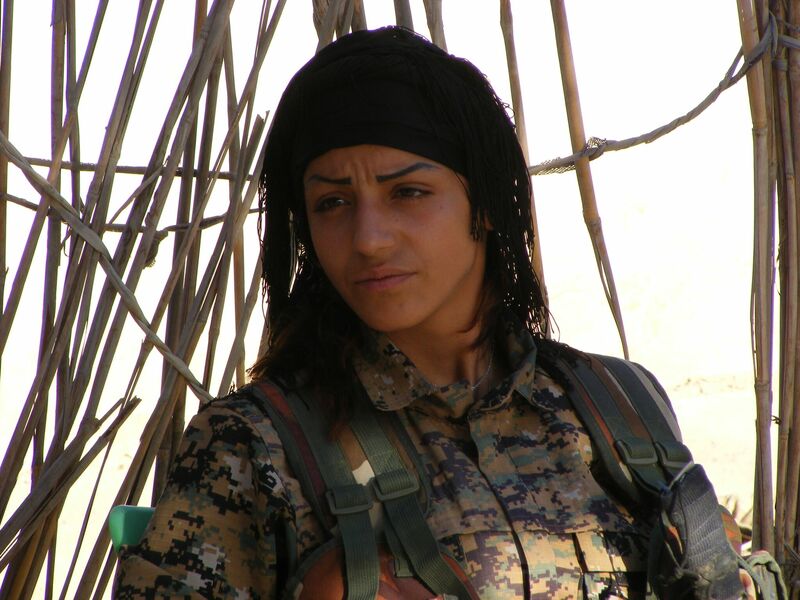 There are dozens of women commanders in the SDF and a Kurdish woman Hediya Yousef is the co-chairperson in charge of the executive committee of the Federation. Many other women are in charge of self administrated civic councils because there is a gender equal co-chair regulation for all higher positions and a 40% gender quota. The purpose of those women is to export this gender equality model also to neighbouring areas and other regions of Middle East.